A member of a prominent African American family in Philadelphia, Charlotte Forten was born in 1837, as the abolitionist movement was growing in the northern states. She was named for her grandmother, who just four years earlier had helped found the Philadelphia Female Anti-Slavery Society. Charlotte Vandine Forten had enlisted the help of her three daughters–Margaretta, Harriet, and Sarah–to organize this rare bi-racial group dedicated to the emancipation of slaves. Charlotte Forten was a young girl when her mother died, and she was mostly raised by her Aunt Harriet. Educated alongside white students in Massachusetts, Charlotte pursued a career as a school teacher in the 1850s. Illness forced an early end to that, and she took to writing poetry and essays that were published in abolitionist magazines. During the Civil War, though, Charlotte started teaching again, this time in the newly-liberated Sea Islands of South Carolina. She published an account of those experiences in The Atlantic Monthly. 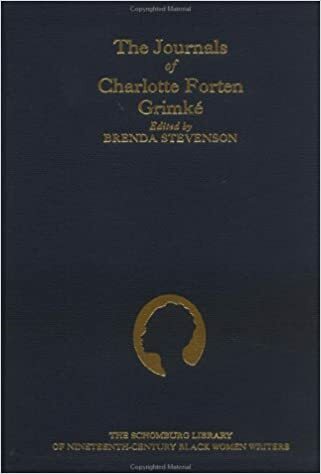 In 1878, Charlotte married James Grimke, a minister, former slave, and the nephew of the famous abolitionists, Sarah and Angelina Grimke. In her last decades, Charlotte supported the women’s suffrage movement.